As the legend says, the village of Olympiada has its name on the honor of Alexander’s the Great mother! The scenic village, located on the north-eastern coast of Halkidiki, on the road to the Athos peninsula, is surrounded by lush, green mountains and an appealing coastline. 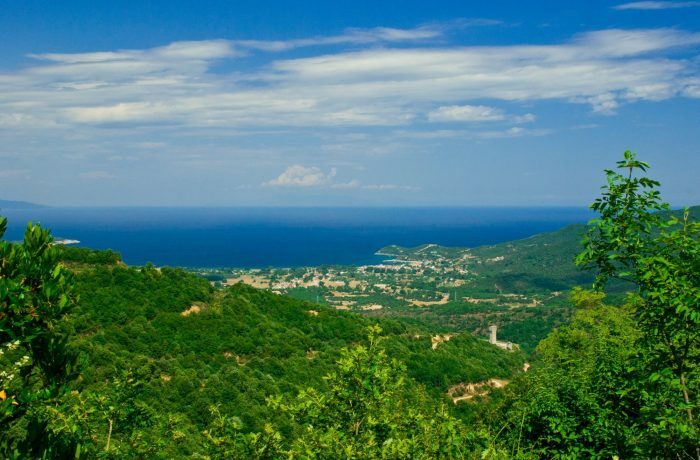 Nearby, the Ancient Stagira, a place of great archeological interest, is popular as it is the birthplace of the Greek philosopher, Aristotle. Today’s village, built alongside a beautiful beach, stretches in a bay of a natural harbor. It is surrounded by green mountains and magnificent beaches that attract a lot of visitors. The amazing Varvara’s waterfalls located between Olympiada and the picturesque mountainous village Varvara. - Each year, on 7th of July, plenty of amusing cultural events take place in Olympiada; the old feast “Aristotelia” is one of the most interesting. - Hike and mountain bike in the area is highly recommended.